War Thunder update 2.39 is now rolling out for players on PS4. According to the official War Thunder 2.39 patch notes, the new update has added the first supersonic aircraft, Italian ground forces, guided Air-to-Air missiles, new ships, ground vehicles and aircraft, and much more. In addition, the latest War Thunder version 2.39 also includes stability and performance improvements. Recently, an update was released with gameplay changes and improvements. Unfortunately, since the last patch, many players are experiencing a number of issues when trying to play the game. Today’s War Thunder patch 2.39 is expected to fix all these issues. Check out more details below. Helicopter areas in Simulator Battles game mode have been moved within the cover of the Airfield anti-aircraft batteries. The appearance of animated objects in locations have been improved. The altitudes in the locations “Imperial Gardens” and “Guiana Highlands” have been corrected. Models of bridges have been improved. Ground textures have been improved in all locations. A bug has been fixed where airfields that haven’t been detected still continue to operate and didn’t disappear from the map even being behind the front line due to the displacement of the front line (only discovered airfields were correctly processed when the frontline shifted). 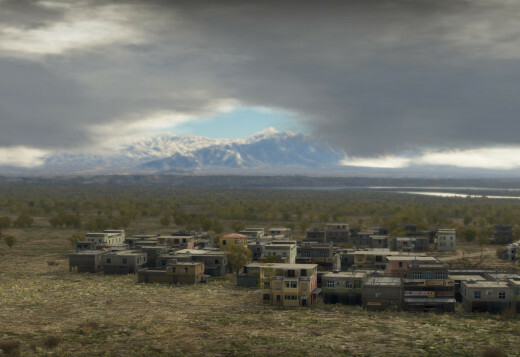 Background activity in ai vehicles that doesn’t affect the outcome has been added in all Enduring Confrontation missions (unrelated to generated ground battles and convoys as seen in the locations Stalingrad, Sicily, Ruhr and Khalkhin-Gol). Convoys have been added to all Enduring Confrontation missions (as in Summer Stalingrad mission where convoys are active). The ground convoy template has been redone to avoid conflicts with the front line mechanics added in previous updates. New mechanics – modular airfields. In short: each airfield has 4 “modules”: the runway, fuel storage facilities, residential area, aircraft parking. The status of each module is visible on the airfield icon and affects the airfield functionality. The general “HP” of an airfield consists of the “HP” of its modules — bombs that have fallen into an already destroyed module or have fallen into the “body” of an airfield but outside the module do not cause damage. All airfields on all Enduring Confrontation missions have been replaced by updated ones in order to be compatible to the new mechanics. New airfields have also been improved to allow a more comfortable take off and landing due to an increase in runway length. Test EC mission added for helicopters in the location “Tunisia”. Now, the task to protect the convoy will be given when the convoy has been detected by the enemy and the enemy team receives the task to destroy the convoy. Detection range for convoys has been changed from 4,500 to 15,000 metres, to make it easier for players to find them. Convoy will fulfill their task when they reach the sector which is in contact with the front line. The convoy which has reached the final point of its route will maximally increase the military presence of the friendly team in the sector (hidden parameter). Capturing an air zone by one of the teams increases th combat presence of that team to a maximum in the sector (hidden parameter). Ground battles mechanism constantly scans frontline sectors. Sectors that have maximum combat presence of one of the teams will have a battle triggered, where ground forces of that team will be an attacking party. Thus several ground battles can be active at a time. Since several ground battles may be active at the same time, these tasks have been removed from the journal. 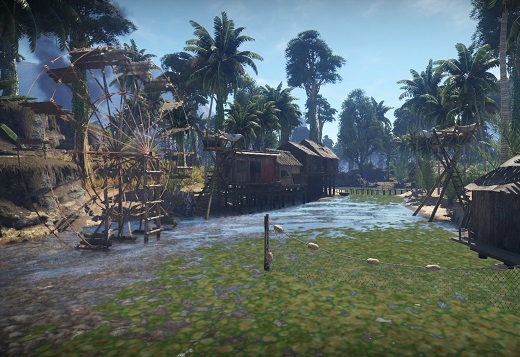 The mechanics of “field repair” has been added to ground RB battles for the following modifications in addition to the existing ones: gun barrel, breech, traverse and elevation drives. Damaging the barrel completely blocks firing for 30 seconds, after that firing is carried out with degraded parameters: 15 times more scatter, 2 times less shell speed and 2 times reduced armour penetration. By damaging the breech the firing will be completely blocked for 30 seconds, after that, shots will experience random misfires. The failure of the elevation and traverse drives completely blocks rotating and elevating of the weapon vertically for 15 seconds, after which the speed of traverse is limited to 3 degrees per second and and the range of angles on elevation will be limited to +/-1.5° from the angle in which the mechanism was damaged. For field repair of all listed modules, the vehicle needs to be stationary. Mechanics that limit ATGM vehicle speed have been added. A missile can not be launched if a vehicle exceeds a preset speed. This feature has been enabled for most ATGM vehicles, that had it in reality. For RakPZ 2, Begleitpanzer, BMP-1, BMP-2, Warrior, Swingfire, Striker, Strv 81, Type 60 ATM, M113a1, Amx13 ss11 full stop is required, on the M3 Bradley shooting is allowed at a speed not faster than 10 km/h. Mi-4 — engine and compressor modifications for the reciprocating-engine have been fixed. Mi-24V / P — IR signature suppression, IR Counter Measures and Electro-optical modulator modules have been added. Air to Air missiles have been added — Р-60 and Р-60M. Mi-24 (all modifications) — Possibility of using FAB-500M-54 bombs has been added. Mi-35M — IR signature suppression, IR Counter Measures and Electro-optical modulator modifications have been added. AH-1Z — IR signature suppression, IR Counter Measures modifications have been added. AIM-9L Sidewinder missiles have been added. TOW blocking display of unguided rocket preset has been fixed. The following ATGMs have been added: AGM-114B and Hellfire. UH-1B, UH-1C — new weaponry has been added: 40mm grenade launcher that can be mounted in the nose turret, as well as combinations of two 7.62mm M134 machine guns and two blocks of Hydra-70 rockets. UH-1D — TDA rockets have been added. S.O.8000 Narval — Class of the aircraft has been changed (source). Yak-9UT — The displaying of the information about the Н-37 and НС-45 cannons in the X-Ray view by switching the weaponry modification has been fixed. F4F-3 — The number of rounds for machine guns has been fixed. I-185 (М-71) — Armour on the armoured seat has been fixed. Spitfire F Mk.22 / Mk.24 — Ammo load for wing mounted cannons has been fixed: internal cannons – 175 rounds, external – 150 rounds. SU-2 TSS-1 — Defensive turret deflection angles have been adjusted. KI-32 — separate bomb drop has been added for 100 kg bombs. A-26B-10 — Offensive armament variant for the two 37mm M-4 cannons has been added. FAB-100 — Bomb mass and explosives mass has been corrected. Me 163 (all modifications) — Take off from the airfield has been added. FM changes for all aircraft (planes) – Momentum, force calculation and roll balancing when different wing sections are damaged has been improved (a bug that caused excessive roll when wing root was damaged that usually lead to losing control in all control modes has been fixed). Do 217 (all modifications) – power plant performance updated, polars of the wing, fins and fuselage recalculated. Geometric parameters updated. Landing gear performance updated. Detailed characteristics can be found in the data sheet. La-9 – FM has been updated according to act №105 dated 18.10.1946г. (flight test results). Polars of the wing, fins and fuselage updated, controllability in all modes has been improved. Detailed characteristics can be found in the data sheet. La-11 – power plant performance updated, polars of the wing, fins and fuselage recalculated. M.B.174A-3 – Geometric parameters updated. Aerodynamic characteristics of the wing, fins and fuselage corrected. FW 190 A/F/D (all modifications) – Rudder and elevator performance at high speeds (mouse-aim controls) has been corrected. Thermodynamics updated (cooldown time after overheating has been reduced). В-29/Tu-4 – FM updated. Wing and fins polars updated. Mouse-aim control improved. D.520 – powerplant performance has been updated, polars of the wing, fins and fuselage recalculated. P-26 (all modifications) – Powerplant inertia moment calculation has been updated. Rudder deflection at different speed simulation is more accurate. Engine start and stop parameters have been updated. Thermodynamics updated (overheating is more accurate: it’s lower closer to the ground and higher at design altitude). D.371, D.373 – Rudder performance at different speeds has been corrected. Engine start and stop parameters have been updated. Thermodynamics updated (oil heating reduced). Rotation rate has been increased for lower speed, reduced for higher speed. Reaction to the rudder has been increased according to reports. Landing gear focus and nosing chance have been corrected. Elevator control at high speeds became more simple. Do 335 (all modifications) – Engine power at specific altitudes in a normal mode has been corrected (B-2 version). Thermodynamics for the WEP and normal engine modes have been corrected. Radiators resistance has been reduced. Rudder control at high speeds became more simple. Data sheet updated (B-2 version). I-153 (all modifications), I-16 type 18, 27 – Powerplant inertia moment calculation has been updated. Rudder deflection at different speed simulation is more accurate. Engine start and stop parameters have been updated. Thermodynamics updated (overheating is more accurate: it’s lower closer to the ground and higher at design altitude). Landing gear focus and nosing chance have been corrected. XP-50 – Elevator efficiency at higher speeds has been increased. Rocket characteristics have been corrected to historically accurate: amount of explosives, distance and speed. Many torpedoes characteristics have been corrected to historically accurate: distance, speed, amount and type of explosives. All capital ship magazines have been corrected – they now include ammunition for all types of armament available on the vessel. MPK pr.122а – Two of the five 12.7mm DShK machine guns have been removed according to the historical modification. PGH-2 Tucumcari (grenade launcher with only one ammunition type has been moved to the anti-aircraft artillery group (Alt+3). Twin-barreled 12.7mm Brownings have been moved to the auxiliary calibre group (Alt+2). Corresponding modifications for the turret speed improvement have been removed. RP and costs for the research and purchasing have been compensated. Soviet 37mm 70-K cannon now has the overheat effect after about a hundred shots in a row. bow turret (85mm 90-K) and aft (37mm 70-K) gun mount can now rotate 360°, they have dead zones when their line of fire crosses superstructures. 85mm 90-K cannon now has AA HE timed-fuse round O-365M. Horizontal spread has been reduced. British 57mm 6pdr 7cwt QF Mk 11A ( Fairmile D) rate of fire has been increased to 0.7 shots per second stabilization has been improved. Kanonenboot K-2 – both main calibre cannons. Frunze – rear main calibre canons. ShVAK 20mm cannon (premium G-5 vessel) AP ammo belt has been fixed. Flottentorpedo-boote type 1939: full ammo load of the 20mm rounds has been fixed. An incorrect warning that not all rounds have been distributed will no longer be displayed before a battle. USS Trenton (CL-11) – 76mm Auxiliary armament targeting ammo load has been fixed – previously it was displayed differently in the hangar and in battle. PT-3 — a bug when you can launch a torpedo when your torpedo launchers have been damaged has been fixed. LS 4 Esau — ammo load has been fixed – it is now 1200 rounds. VS-10 — 15mm MGs ammo load has been fixed – previously it was displayed differently in the hangar and in battle. Mk.I round of the British QF 3-inch 20 cwt (SGB (S304)) calibre in the info card has been corrected. Class G “Grafton” destroyer (H89): rear main calibre gun bug, when it could only shoot with HE shells, has been fixed. АK-725 (Pr.206М) 57mm autocannon: rate of fire increased to 200 shots per minute, overheating also increased. Fairmile A (stabilization has been added for the 47mm gun). Fairmile A — 4 x 7.7 mm Lewis machine guns have been added. MTB Vosper 1st series — 4 x 7.7 mm Lewis machine guns have been added. The 76 mm (3”) American armor-piercing Mk.29 shell has been changed to an APHE shell with additional explosive mass. Destroyer Class G “Grafton” (H89) – Auxiliary targeting armament modification have been removed, all RP and SL spent has been refunded. PGH-2 Tucumcari – New 12.7 ammo belt is now available for research. The crew skill “ship control” has been divided into two sub-skills: “rudder speed” and “engine mode change rate”. Maximum repair time for the bridge and conning tower that previously could exceed 2 minutes has been fixed. Smaller vessels have a repair time of about 20 seconds, destroyers – 30-40 seconds, cruisers – 40-60 seconds. Destroyers and cruisers: all crew members that were previously placed in the unarmoured superstructure have been moved to compartments, main calibre and auxiliary turrets and torpedo tube stations. Cruiser sinking has been fixed. Each cruiser has individual sinking mechanics. An issue when a cruiser would stay afloat when its deck was under the water surface (and vice versa when a cruiser was sinking while having enough buoyancy) has been fixed. Durability of capital ship magazines has been increased and can survive more damage. Excessive inertia of the vessels has been fixed – now full stop after going at full ahead is quicker. Pr.191М – main calibre turret ring armour has been fixed, rear turret ring armour has been fixed . Type 1924 destroyer: main calibre turret armour has been fixed. Kanonboote K-2 maximal speed has been corrected in the info card. Brave Class (P1011) – a bug with depth charges being displayed in the magazine in X-ray view when they were not researched or when the modification was not implemented has been fixed. 40mm 70ft MGB-61 rear autocannon accuracy has been fixed (previously it was firing higher than its aimpoint). Type М 1943: AA turrets armour mounted on the bow has been fixed. The appearance and location of the radio box and drainage pumps have been fixed on many vessels. Type M 1943 – A bug when displaying the steering wheel has been fixed. S-100 (1944) – Historical camouflage has been added. Flag model and behavior has been fixed. The animations of the rudders has been fixed. PT-3 – Engine models in the X-Ray view have been fixed. AI gunners no longer start shooting when a target is beyond the max range of their guns. A bug when there were no visual effects for AI gunner shooting has been fixed. An aiming bug has been fixed: previously AI gunners regardless of their crew skill level were shooting outside target aim point, which resulted in many needless misses. Target selection system has been improved: AI gunners first estimate possible threats and then begin to shoot at an opponent depending on its distance, armament and direction. For example if the distance is the same the gunners will start shooting at an attacker armed with bombs and rockets rather than at a fighter with MGs. Or, if there are 2 attackers at the same distance they will first engage the one that is flying towards the player’s vessel rather than the one that is moving on the sideline. Approximate ship model has been added. Missions to check all three user units have been made. Bug with unworkable custom user units has been fixed. They are playable now. Example of animated assets has been added. Custom user units can be displayed now in the mission editor. Performance bugs have been fixed. P.108A series 2 — Has been moved to 3rd rank. Magach 3 – The colour of the standard camouflage has been changed. M26 “Ariete”, P40 “Leoncello” – Desert camouflages have been added. Decals with the image of the tactical signs of armoured vehicles of Italy have been added. “Rewards” menu appearance has been updated. Additional nation flags which indicate the country of the operator more accurately have been added to the vehicle card. An indication of the inclusion of a torpedo sight has been added to the action panel of ships in battle. The ability to enable the advance marker for torpedoes has been added. It turns on at a distance closer than 2 km to the chosen target. In aircraft Arcade Battles damage to Allied aircraft has been disabled through the attacker will still receive a warning. At the same time hits to Allied aircraft will be counted by the automatic punishment system. A new warning message has been added when the pilot is injured. Requirements for vehicles to complete naval battle tasks have been changed. Easy task you can complete in vessels from BR 2.0 and up (previously was 2nd rank), mid range special tasks – from BR 3.0 and up (previously was 3rd rank). Visualization of the Prandtl-Glauert effect (Sonic Boom) when flying at transonic speeds has been added. 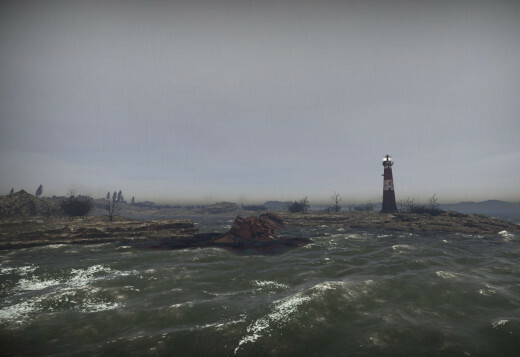 The appearance of waves, foam and wake created by vessels during movement has been reworked and improved. Animation of shell ejection has been added. So far it is only for individual vehicles (T-62; Т-62АМ and Т-72, BMP-2, OTOMATIC), but the list will be updated. Sound has been added for the locomotive moving in test flight for Soviet and German aircraft. Sounds for target capture and target tracking with air-to-air missile guidance system for F-100D aircraft have been added. 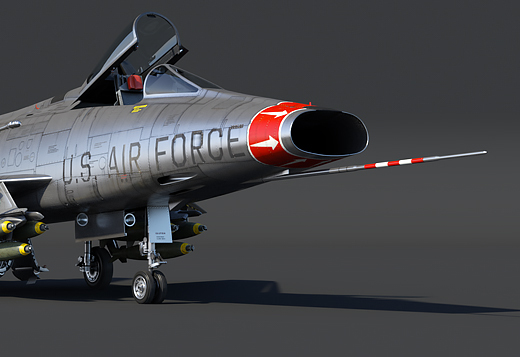 The sound of a working afterburner for MiG-19, F-100D aircraft depending on the viewing angle when viewed from a third person view has been added. Shock wave sound from enemy/allied aircraft moving at supersonic speeds has been added. For the sound of the player aircraft moving at supersonic speed the dependence on the viewing angle at the sight of a third person view has been changed. Now at speeds above Mach 1 when the aircraft is viewed from the front all sounds of the aircraft disappear. At the border of the difference in air pressure (shock wave) you can hear loud noise. When you look at the aircraft from behind the sound of the air flow becomes more intense. The sound of discharging IR countermeasures has been added. The sound of the reflection of a jet from the surface of the earth when a jet aircraft takes off and is moving at low altitude has been added. Sound of reflection of the shock wave from the working screws of the piston-engined aircraft during takeoff and movement at low altitude has been added. The sound of uprooting trees when they fall has been added. The sound of a collision of armoured vehicles with a wooden surface has been added. The sound of a collision of armoured vehicles with a stone surface has been added. The sound of a collision of armoured vehicles has been added. 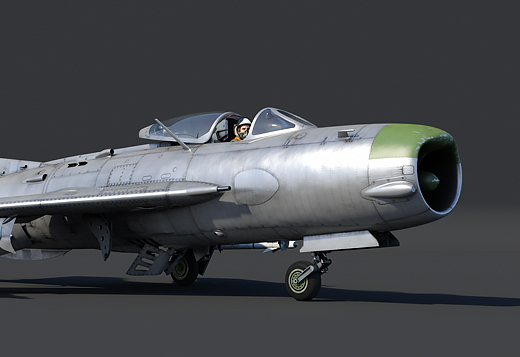 The sound for the new aircraft HP-30 cannon for the MiG-19 has been added. 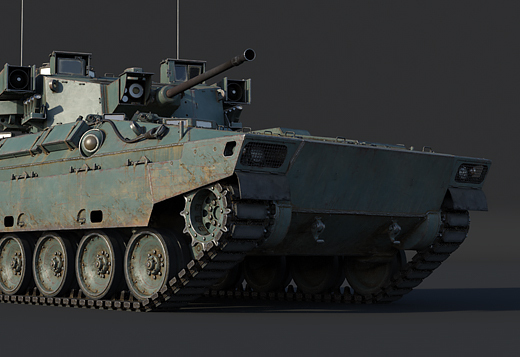 New authentic sound of the Type 90 engine, interior and exterior, has been added. New authentic sound for the interior of the Type 90 has been added. 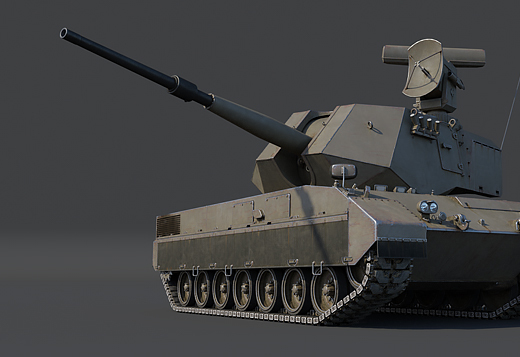 New authentic sound of the 7.62 mm Type 74 machine gun of the Type 90 tank interior and exterior has been added. New authentic sound of L44 cannon firing from the Type 90 and Rheinmetall L44 canon has been added. The reloading sound of the automatic loader of the L44 cannon has been replaced by an authentic one. The balance of the sound of all ground vehicle engines has been changed in the direction of greater density and power. More detailed mechanical sound of tank gearbox has been added. Sounds of shell ejection for new shell extractors have been added for following vehicles: BMP-2, Otomatic, Т-62, Т-62М1 and Т-72. The balance of the sound of all aircraft engines has been changed in the direction of greater density and power. The sound of jet aircraft passing a player have been changed. New layers of the sounds with hitting of all types of shells and also for ricochets and hits without breaking the armour have been added. This is the sounds of an incoming hit, a collision of a shell with armour, a body resonance from a hit, a rotating shell moving to the side in case of ricochet and a shell screeching in case of ricochet. The sounds of automatic weapons for ground vehicles from 3rd person view have been changed in the direction of greater brightness and readability in battle conditions. The sounds of automatic weapons for ground vehicles from gunner view have been changed in the direction of greater sharpness and clarity of sound. New sounds for new automatic weapons of Italian ground vehicles have been added: Breda Mod37, Breda Mod38, Breda 20 65 M35, Oerlikon KAD B17, Oerlikon KBA. New functionality of the editor for viewing armor and X-ray view in the hangar, which allows you to disable external elements for a more detailed study of the armour and layout of the vehicle has been added. The ability to simulate a tank shot in the hangar of a selected type of ammunition through the protection analyzer. For the “shot” you need to press left mouse button by targeting the analyzer indicator on the tank. Test flights for aircraft and helicopters have been improved. 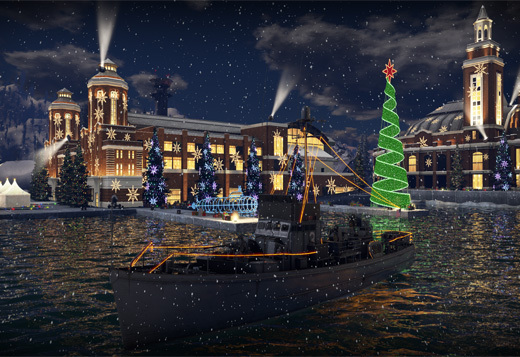 In the mission on the location “Stalingrad” new allied boat navigation along the Volga has been added. In the location “Berlin” a locomotive has been added. In most missions in test flight, allied aircraft have been added, ground targets have been changed. A target for heat-guided missiles has been added to test flights at high ranks. Test missions for heavy vessels have been reworked: the location has been changed, a cruiser has been added as a target for shooting. War Thunder update 2.39 is now available for download.